The city of Damascus, Syria may soon be destroyed as Isaiah 17:1 and Jeremiah 49:24-27 predicts. 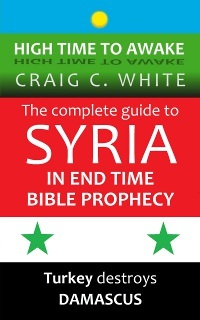 The destruction of Damascus is the next event to look for on the prophetic calendar. 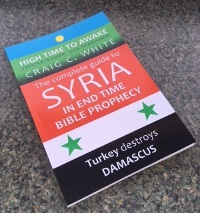 The Turkish led invasion into Syria, the destruction of Damascus, and the following Turkish led invasion into Israel put us on the brink of the Tribulation, and even closer to the Resurrection and Rapture. Damascus is the capital of Syria and is its second largest city with about 2.6 million people in the metropolitan area. Today Syria is in the midst of a battle for its sovereignty. There is a movement to oust Syrian President Bashar Assad. While most Syrians support the more westernized Assad, Al-Qaeda factions supported by Turkey and the Muslim Brotherhood are fighting for control over the nation. Today foreign jihadists are fighting the Syrian Army near the city of Damascus. The Syrian war is basically a war between Shia and Sunni Muslim factions. Much of the outskirts of Damascus have already suffered major damage but the downtown neighborhood of Old Damascus remains intact. According to Jeremiah the Old Damascus neighborhood must be destroyed. Old Damascus is where the capital of Syria sits. According to Isaiah 17:1 Damascus will be taken away from being a city. Today, fighting in Damascus is on the rise. World governments are scrambling. Turkey, the UN, EU, and US leadership want Syrian President Assad gone. The CIA has been smuggling weapons to Al-Qaeda in Syria as well as providing flour and funding. Russia and Iran want Assad to stay. The US is pushing for Middle Eastern led military action. That probably means that the US is willing to support a Turkish led conquest of Syria. The US, UN, Britain, France, Saudi Arabia, Turkey, and other world powers are pushing for an escalation of force to oust the Syrian President. In July 2015 NATO gave its approval for the Turkish Army to enter Syria. Turkey is directly supporting Al-Qaeda rebel groups in Syria. Up until now Turkey had hoped that the rebels would eventually overtake the Syrian Army. The key to victory is to capture of the seat of power in Damascus. However rebel fighters say that they do not have the military might to take Damascus. In July 2015 Turkey deployed 54,000 troops and heavy artillery along the Syrian border. NATO has deployed several Patriot missile batteries as well. The missiles are manned by 400 US soldiers. It looks like foreign military force will be brought to bear eventually. In Isaiah 17 the city of Damascus is prophesied to be destroyed. Damascus was conquered once already when Assyria invaded Syria and northern Israel in 734 BC. 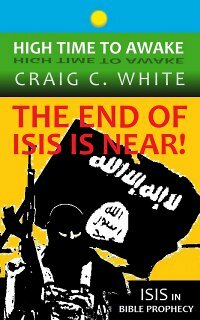 Some Bible teachers say that the destruction of Damascus has already happened and that it is not a future event. However, the Prophet Jeremiah also predicted that Damascus would be destroyed. Jeremiah gave his prophecy one hundred years after Assyria conquered Damascus so the destruction of Damascus is definitely a yet future event. I think that Turkey will destroy Damascus in much the same way that Assyria conquered Damascus in 734 BC. 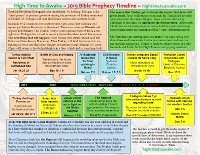 Bible prophecy often represents two similar events usually separated by time. Conditions are ripe for a present day destruction of Damascus. Jeremiah chapter 49 below suggests that Damascus (metro population 2.6 million) will turn to flee. Today many Syrians have already fled the fighting; seeking refuge in Turkey, Jordan, Lebanon and other regional countries. There are currently almost 4,000,000 Syrian refugees in surrounding countries. Over nine million Syrians have left their homes. Many Syrians have also taken refuge in Damascus. Hundreds of thousands of Syrians have also fled from Damascus as the fighting drew nearer. Attention: High Alert! Bible prophecy is unfolding concerning Damascus. Jer 49:24-27 Damascus is waxed feeble, and turneth herself to flee, and fear hath seized on her: anguish and sorrows have taken her, as a woman in travail. 25 How is the city of praise not left, the city of my joy! 26 Therefore her young men shall fall in her streets, and all the men of war shall be cut off in that day, saith the LORD of hosts. 27 And I will kindle a fire in the wall of Damascus, and it shall consume the palaces of Benhadad. Note: In the verse above, Benhadad is the title of several Syrian kings who ruled in Damascus (1 Kings 15:18). In Jeremiah 49:27 it says that God “will kindle a fire in the wall of Damascus”. 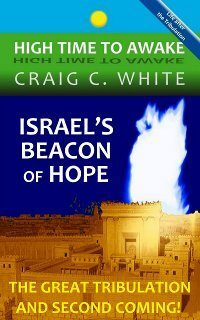 To “kindle a fire” means that God will send an army to invade Damascus. Turkish troops are lined up along the Syrian border. Tensions are heating up between the Syrian and Turkish Army. I think that God may be sending the Turkish Army against Damascus. April 2018 update: The Turkish Army has been allowed to enter northwestern Syria unhindered. I estimate that there are more than 100,000 Turkish Army troops along with Turkish supported Free Syrian Army and Al-Qaeda troops in northwestern Syria today. The Prophet Amos also condemns Damascus. This prophecy was fulfilled when Tiglath-pileser the Assyrian king conquered Damascus in 734 BC and carried the Syrian (Aramean) captives away to Kir, a mountainous region in western Jordan. 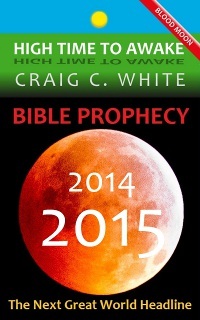 However, like many Bible prophecies this may also refer to a future event. Today the region of Kir in Jordan is called Kerak. There are about one half million Syrian refugees in Kerak today. This is further evidence that the destruction of Damascus as described in the Bible is imminent. It is also evidence that the God of Israel is the one true God and that we all had better heed his word and we had also better humble ourselves before him while there is still time! In verse 5 the plain of Aven is a valley in the northeast part of Lebanon near the Syrian border. Today it is called the Bekaa valley. It has been suggested that Saddam Hussein hid WMD’s here before the US invasion of Iraq. Amos 1:3-5 Thus saith the LORD; For three transgressions of Damascus, and for four, I will not turn away the punishment thereof; because they have threshed Gilead with threshing instruments of iron: 4 But I will send a fire into the house of Hazael, which shall devour the palaces of Benhadad. 5 I will break also the bar of Damascus, and cut off the inhabitant from the plain of Aven, and him that holdeth the sceptre from the house of Eden: and the people of Syria shall go into captivity unto Kir, saith the LORD. 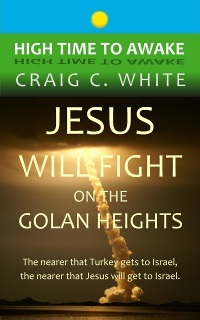 Talk of a military conflict between Israel and Syria along with their ally Iran is also on the rise. In Ezekiel chapter 38 a Turkish led invasion into Israel is described. Turkey is joined by Iran, Ethiopia (The original Hebrew word Cush more accurately describes Sudan), and Libya. It may be that shortly after the destruction of Damascus a Middle East invasion into Israel will occur. Every nation that is mentioned in Ezekiel chapter 38 is fighting in Syria today. In Ezekiel 38:4 below God is talking to the leader of Turkey. I am convinced that Turkish President Recep Tayyip Erdogan is the modern day fulfillment of Magog the primary ruler of the land of Turkey described in Ezekiel chapter 38. So I expect the battle of Gog and Magog to happen soon! Turkey may destroy Damascus. 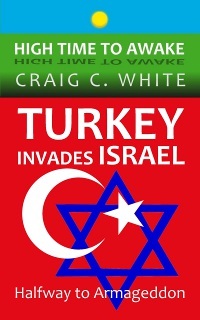 Turkey may also then lead a Middle Eastern invasion into Israel. It is High Time to Awake and watch! 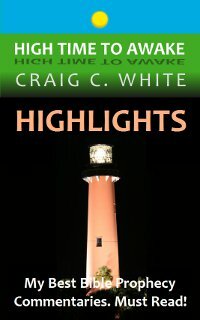 This is very interesting, & I will like reading your book! 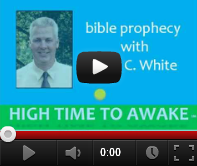 Hi Christina: A lot is happening concerning Bible prophecy. 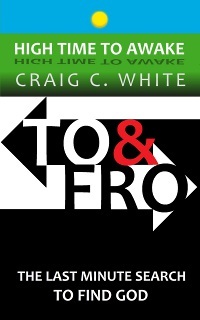 God bless you as you read my book. One of the biggest keys pointing to the fulfillment of Isaiah 17 in Isaiah’s own time period is the phrase “in that day” in verse 4. Isaiah clearly prophesied that Damascus and Syria would fall in the same “day” that Israel would fall. And we know that Israel (the northern kingdom) fell in 722 B.C. Hi Adam: This prophecy has never been fulfilled. Isa 17:1 The burden of Damascus. Behold, Damascus is taken away from being a city, and it shall be a ruinous heap. Damascus is the oldest continually inhabited city on earth. So the fulfillment of this prophecy is still future. Don’t forget that Jeremiah also predicted the destruction of Damascus one hundred years after Isaiah and one hundred years after Assyria conquered Damascus. The destruction of Damascus is still future! Jeremiah says that the neighborhood of “Old Damascus” will become a ruinous heap. Old Damascus is the governmental seat where Assad governs Syria. time will tell…I think it does. The middle east is shaping up to its old Ottoman empire with the help of world leaders especially the Obama admin. At this hour the Syrian nation is being bombed. ISIS has hold of Damascus. It is only a matter of short time before this prophecy is fulfilled. I was just wondering the war of Gog and Magog which Ezekiel prophesied about, is that not what is mentioned in Revelation 20:7? 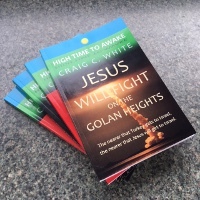 Secondly this war is this not supposed to take place after the 1000 years millenial reign of Christ in Jerusalem? Hi Kay. Magog is the primary governor of Turkey. He will lead a coalition of nations into Israel three times. The Bible calls these invasions Gog and Magog. 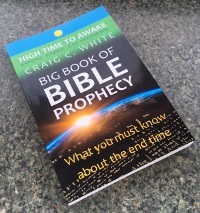 One invasion happens near the beginning of the Tribulation (Ezekiel 38), the next is the battle of Armageddon which happens at the end of the Tribulation (Ezekiel 39), and the last one happens one thousand years latter (Rev 20). Just came across your article and would like you opinion considering Putin’s threat here in this article and its implications to the destruction of Damascus. Hi Richard. Jeremiah 49 describes an army coming first to Syria’s northwestern cities near Turkey’s border then destroying Damascus. Jeremiah says that God will kindle a fire against Damascus. The term to kindle a fire is used elsewhere in the Bible. In the past it has always described an invading Army. In Jeremiah the Syrian army fights to defend Damascus until the last man is killed so I don’t think that Damascus will be nuked. As a believer of every word in the bible Old Testament and New. I find it absolutely amazing how you wrote this in 2013, and the Paris attack just occurred 11/15. 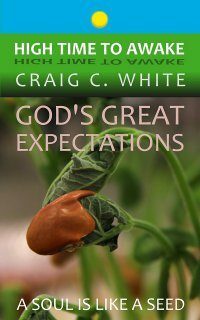 People look for the bible and Jesus to come in the second we speak of Him and his scriptures. But if they really sit down and think about it, everything in that Bible has come to pass. thank you for being a believer and sharing the truth. It is HiGH TIME TO AWAKE PEOPLE, GOD is REAL! Good day sir, i cam upon your article today. I am glad your post was written in 2013 because it becomes more relevant today. 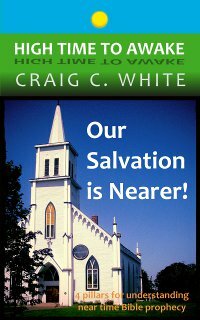 Prophecy and endtimes is so seldom preach in the pulpits. It should be, it encourages us to prepare and do our King’s business rather than our business. All very possible. But my question is, in your opinion, what has Syria done to deserve all this? Why does God want to do this? Is God with the west – i.e. Assad is an evil monster, so it’s best that we prop up an army of evil to go get him? I find this hard to understand..
Hi Drew: God will judge every nation that has rebelled against Israel and her God. The Bible describes the judgment of each nation as “the burden” of that nation. Syria has been Israel’s enemy for a long time. Syria will suffer judgment but that doesn’t mean that the other nations are right to overthrow Syria and replace its government with even more evil leadership. God will also judge those other nations. In this case Turkey. God uses certain nations to judge other nations. Does that mean Russian military in Syria will be defeated or made to withdraw? 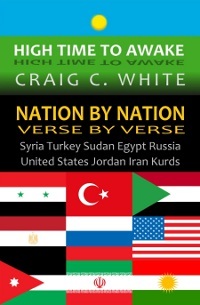 Where does Russia and Iran fall into prophecy concerning Syria? Hi Graham: Yes, I think that you are correct. Russia will probably leave Syria then Turkey will invade and destroy Damascus. Right now Turkey, Iran, and the US are talking with Russia to find a diplomatic solution to Russia’s presence in Syria and their animosity against Turkey. There is plenty of room to build a Jewish temple on the temple mount. Hi Paul. Thank you for sharing. 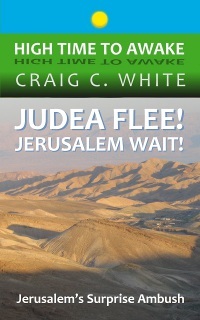 The western wall or wailing wall is part of the temple mount. The temple of course is no longer there. The UAE forces arriving in Saudi Arabia for ‘Northern Thunder’ on Feb 2016 brought me here. Could this be the beginning of the total destruction and ruin of Damascus? Hi Travis. Yes. Syria is a sovereign nation and deserves to be protected. Assad is beloved as the President of Syria. The US is on the wrong side of the Syrian war. The US is siding with Muslim Brotherhood supported Islamists. The goal is to bring the entire middle east under Muslim Brotherhood control. I see it as well. 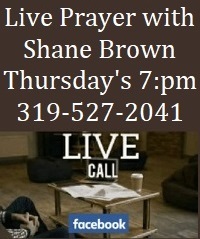 Praying for ways to get others to heed and believe. 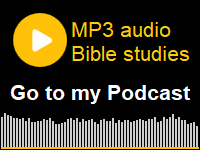 I’ve been revisiting my study on Ezekiel 38/39, and I came across your website. This is the first article I have read of yours. I’m very impressed and really enjoy reading your responses from the readers here. Like you, I’m shaking my head as to why USA supports MB. They seem worse than Assad. Even Israel believes Assad is the lesser of two evils. Up until today, I always thought Israel would destroy Damascus pursuant to Isaiah 17, but your article and reference to Jeremiah 49 has me thinking. Maybe it will be Turkey instead. I will continue my research. Nevertheless, it seems to me that before Gog/Magog #1 takes place, Israel’s adjacent neighbors have to be neutralized. Will Syria be the first to fall? Iraq next? Wow! This is exciting. I guess I will order your book too. Again, much appreciation for your dilegence. Greetings my brother, I’m from Nigeria which is a country in west Africa, please I want too know more about our faith in this terrified moment of war or crisis because looking at Sudan been part of it(Hezbollah). Are we in Africa too expect any form of God judgment especially my country Nigeria. 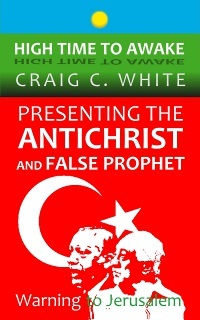 The Bible doesn’t mention Nigeria by name but it does indicate that the Antichrist will invade several nations in Northern Africa including Egypt. I think that Nigeria will probably be invaded. The Bible says that Libya and Sudan will be with Turkey. Turkey plans to attack Egypt in about four years. I think that Jesus will return to gather his Church before that. TWO YEARS AFTER YOU POSTED THIS, THE US JUST BOMBED SYRIA… EXPLAIN THE HOW THE U.S. PLAYS OUT IN THIS PLEASE AS I AM VERY CURIOUS AS WHAT I AM WATCHING. I KNOW IT’S PROPHECY, BUT HOW DOES THE U.S. FIT IN CONSIDERING WE JUST BOMBED THEM. 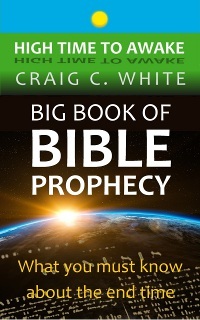 Thank you for the study and work you have done to reveal God’s word and your thoughts on this prophesy. May God continue to reveal to you His word and give you the spirit of understanding and Godly wisdom that you may continue to minister in Jesus name amen. based on the promises, Erdogan has never lost an election on all the promises of a better life. but there will be sudden destruction. 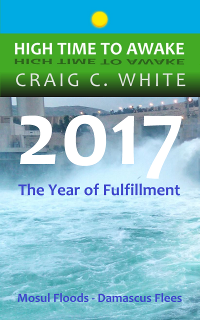 the bible says they will pour through the land, [there is no won to stop him now] after 5-7 years of war. the Syrian war caused people to leave, so he will head to Jerusalem…..
Egypt and libia the bible says African people. They want peace, that has been denied…..
Hi Richard. I don’t think that Russia will help Turkey. Russia is not mentioned in Ezekiel chapters 38 and 39. Russia is not a part of the Turkish led invasion into Israel. 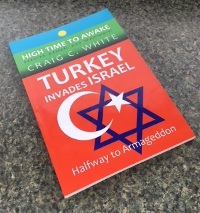 I published my book Turkey invades Isreal – Halfway to Armageddon back in 2013. It is still accurate today because God’s word has not changed. Turkey will destroy Damascus and then lead the forces that are now fighting in Syria into Israel. next will it be Eqypt? and Libya, as it would be easy to do, with help from Moslem brotherhood people there. while they are just playing in Syria waiting for the right time to attack. They don’t want a Kurdish state, but 24% of oil reserve’s, are under Kurdish lands in Iraq. The Bible says the anti Christ will attack but be worried about the North and the East, which would indicate the attack would a later move? as the Bible says they worry about the North and east…..Kurds and the UN partners and USA and in the North the Russians and there bases in Syria. When Jesus was tested He said to satan ‘do not put God to the test…. when Jesus was betrayed satan entered Judas as he had put God to the test. 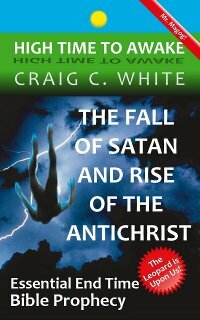 when the anti Christ moves satan will enter him as he is putting God to the test. In Amos 1 3-5..for three transgressions and for four..the transgressions and threshing of gilead could be linked from 1517-1917 the ottoman empire controlled gilead present day Jordan west bank area was considered a district of syria. Gilead was divided or threshed into three parts according to the oslo 2 accord. Prophecy is written. I am glad to have a heads up of what to come, Its all coming to pass. I am looking forward to when GOD writes his words in our HEART. See ya on the flip side. LOVE TO ALL….. Thanks Lisa. Which verse are you referring to? EZ38 Now the word of the Lord came to me, saying, 2 “Son of man, set your face against Gog, of the land of Magog, the prince of Rosh,[a] Meshech, and Tubal, and prophesy against him, 3 and say, ‘Thus says the Lord God: Behold, I am against you, O Gog, the prince of Rosh, Meshech, and Tubal. 4 I will turn you around, put hooks into your jaws, and lead you out, with all your army, horses, and horsemen, all splendidly clothed, a great company with bucklers and shields, all of them handling swords. 5 Persia, Ethiopia,[b] and Libya[c] are with them, all of them with shield and helmet; 6 Gomer and all its troops; the house of Togarmah from the far north and all its troops—many people are with you. The intent is clear and as you say, but Turkey is simply one player in an Arab alliance which is actually led by Russia. “Rosh”, “Meshech”,”and “Tubal” all refer to the present land of Russia, In this passage The Lord is speaking directly to and about the Prince of Russia. The terms Gog and Magog simply refer to a great king (Gog) and his kingdom (Magog). Turkey’s muslim current muslim dictator could only be so emboldened now because of his new alliance with Iran and Russia. He is simply a pawn and not capable of making these decisions nor carrying out a massive military operation an a large enough scale. However, Mr. Putin is. No fear however. Our Father is in control and knows what HE is doing! Praise His Holy Name! Thank you for the great work you do. God bless you! Hi John. I appreciate your thoughts but the idea that Russia is Gog and Magog is a popular misconception. Magog is the “chief prince” (or most prominent) of his brothers, Meshech and Tubal. All of these people were the first princes to be set over provinces in what we call Turkey today. Magog is the chief Prince or primary governor among the provinces of Turkey. And yes Turkey has the military might and also has the will to conquer Syria. Plus the Turkish Army is in Syria now. Jeremiah 49:23 identifies Hamah and Tell Rifaat in northwestern Syria. The Turkish Army is amassed near Hamah and Tell Rifaat right now. Turkish President Erdogan has announced that Tell Rifaat will be his next target. There are over 100,000 Turkish Army troops and Turkish supported Free Syrian Army and Al-Qaeda troops in northwestern Syria now. 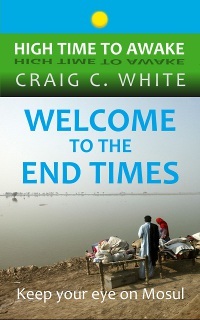 Can you help me what should I report about end times that is useful to my co-worker? Thank you. Jeremiah 49:23 tells us that the cities of Hamah and Arpad in northwestern Syria will hear evil reports then Damascus will be destroyed. Arpad is called Tell Rifaat today. The Turkish Army is amassed near Hamah and Tell Rifaat now.